Anatomie Studio hosts weekly and monthly rope jams where you are able to discover, connect, interact, exchange, examine, create, experiment and develop. The jams are open to all levels and interests. Beginners, veterans and the curious are all welcome. There are mats, suspension points, rope and blankets, as well as free wifi, free tea and coffee too. See our Calendar for more. Tuesday Evening jam (7pm-11pm): every Tuesday – open rope practice for all levels. Thursday Evening jam (7pm-11pm): every Thursday – rope practice for all levels – ideal for beginners as we will run a free 1.5hr beginner session from 7:30-9pm. 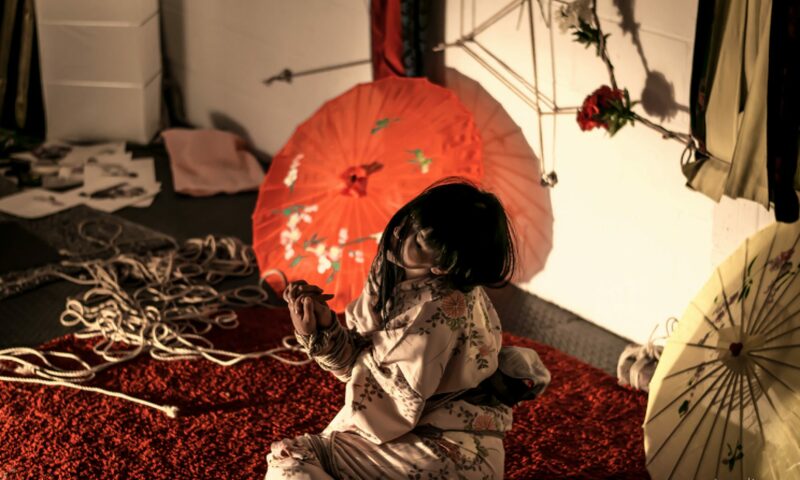 Sensations and Semenawa Jam (every last Friday of the month* 7pm-1am, £10 per person): ideal for those who have some rope experience and looking for sensorial explorations with rope. From 10pm onwards the jam will be quiet, you’ll enjoy low lighting, a cosy intimate atmosphere and relaxing background music. *[Check our event calendar as dates may vary]. The Big Jam (every third Saturday of the month* 3pm-11pm, £12 per person): all rope practice for all levels. *[Check our event calendar as dates may vary]. Rope bottoms of all levels are welcome to join our free lunch hour Rope Bottom’s Roundtable session from 2-3pm before The Big Jam – this is an open discussion time to talk about rope bottoming related topics, from nerves to moods, from sharing tips, tricks and skills to questions about anatomy and flexibility, this is your time and space to share concerns, experiences and thoughts. New bottoms and those curious about being tied are particularly welcome. *[Check our event calendar as dates may vary].